Detroit's Inner City, one of the most influential dance acts of all time celebrated their 30th anniversary starting with a Memorial Day live show on the main stage of Detroit’s Movement Festival this year. 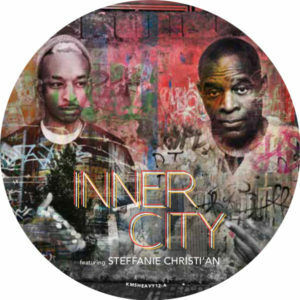 Formed in 1987 by record producer, composer and international DJ Kevin Saunderson and vocalist Paris Grey, Inner City are best known for their early crossover hits “Big Fun” and “Good Life”. Further successes saw the group topping the US Billboard dance chart five times and securing nine Top 40 hits on the UK singles chart.This 30th anniversary will mark a new chapter for Inner City, one which sees Kevin Saunderson now joined by his son and creative protégé Dantiez as a full-time member. New material and a live show will soon follow, featuring a variety of musical collaborators and vocalists. Movement Festival will set the stage for Inner City’s new era, with a show formation featuring Grammy winner and original Inner City bandleader Dennis White and Kevin Saunderson’s long-time collaborator Tommy Onyx alongside local talent and vocal sensation, Steffanie Christi’an. In Kevin’s own words: “a true family and new sound for a new generation”. With over three decades in the game under Inner City’s wing; with a renewed commitment to live performances featuring a strong family core; and two generations of Saunderson men in the studio – Inner City are poised to enjoy the good life as much today as they did in 1987 and this is entirely evident on the group's latest offering 'Heavy'. Boasting a stellar edit from Detroit Techno luminary and Inner City collaborator Carl Craig, 'Heavy' is a fresh taste of what's to come from this legendary outfit. Essential Detroit Techno.